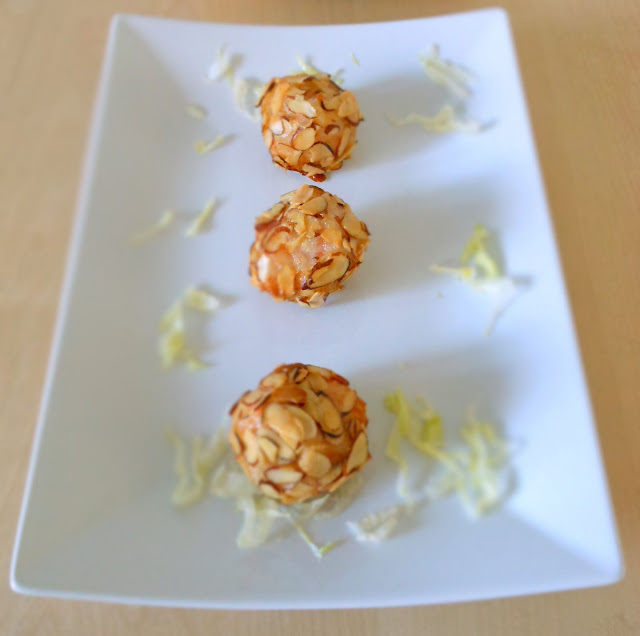 Almond Shrimp Balls, another great appetizer to make using my favorite ingredient 'shrimp.' Its crisp, clean look makes it a very elegant dish for entertaining or social gathering. You can easily get applause from your relatives or friends when you are serving this dish. For the ingredients, you will only need a few. The steps are not complicated. As long as you buy the shrimp that have already been peeled and deveined, that would save you a lot of time in preparation. so that the shrimp paste won't stick to the inside surface of the bag. so the air inside the bag can come out. 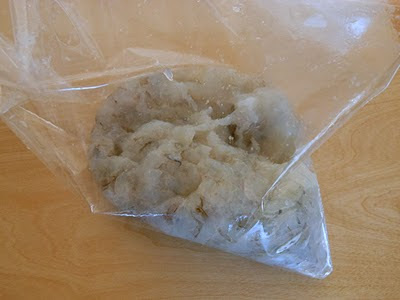 Leave the shrimp paste inside the bag. Fold down the top of the bag so that the shrimp paste can be reached by a spoon. Add pinch of salt and pepper to the shrimp paste. Mix well with a spoon. 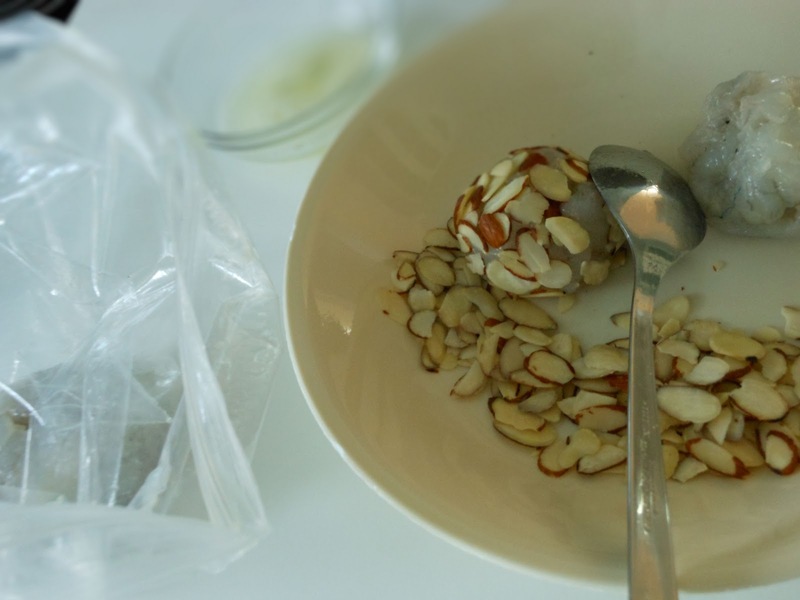 Place sliced almonds in a shallow dish. Place egg white in a small soup bowl and beat with a fork slightly. 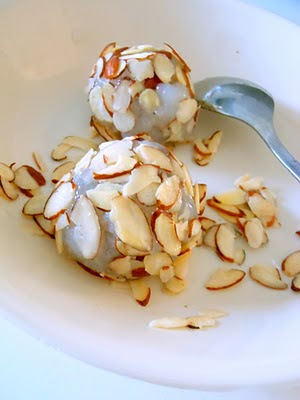 Form tablespoonful of shrimp paste into balls, dip in the egg white and roll the balls in sliced almonds . Heat oil in a pot over medium heat. Drop the balls in the oil and fry until brown. Transfer to a serving plate and serve immediately.